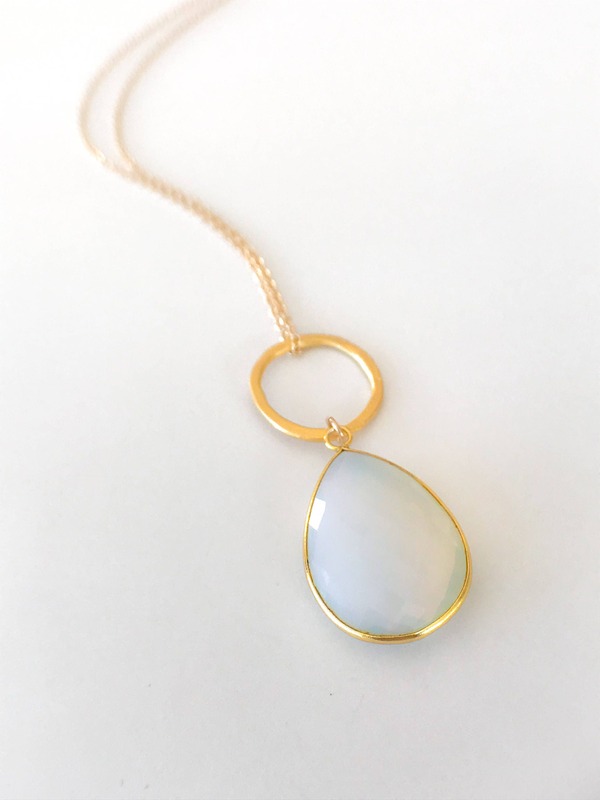 Large Gemstone with Ring Necklace- More gemstones available! 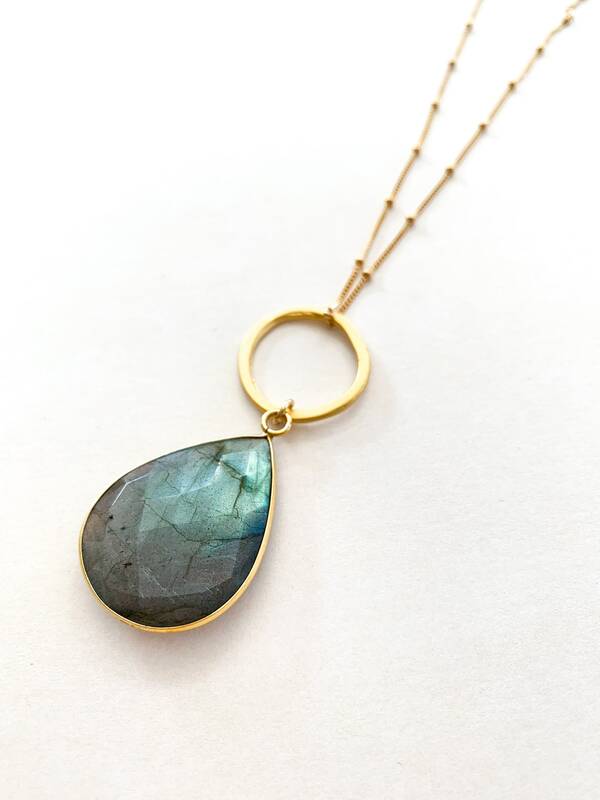 This beautiful necklaces features a faceted gemstone hung from a thick vermeil gold or silver ring. 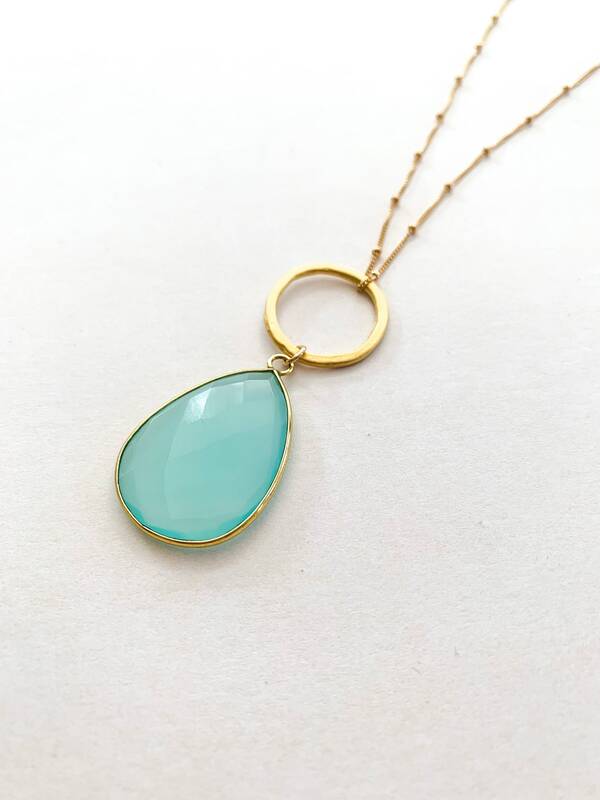 A perfect necklace that provides versatility for any event or outfit! 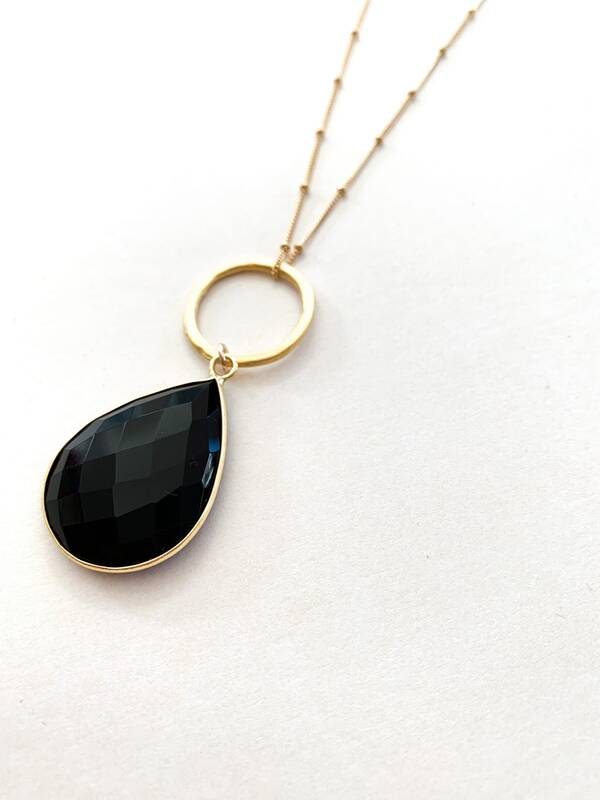 ►The gemstone pendant is 18mm x 12mm 22 K gold. ►Note: Each gemstone may vary in shape and color since it is a natural stone. 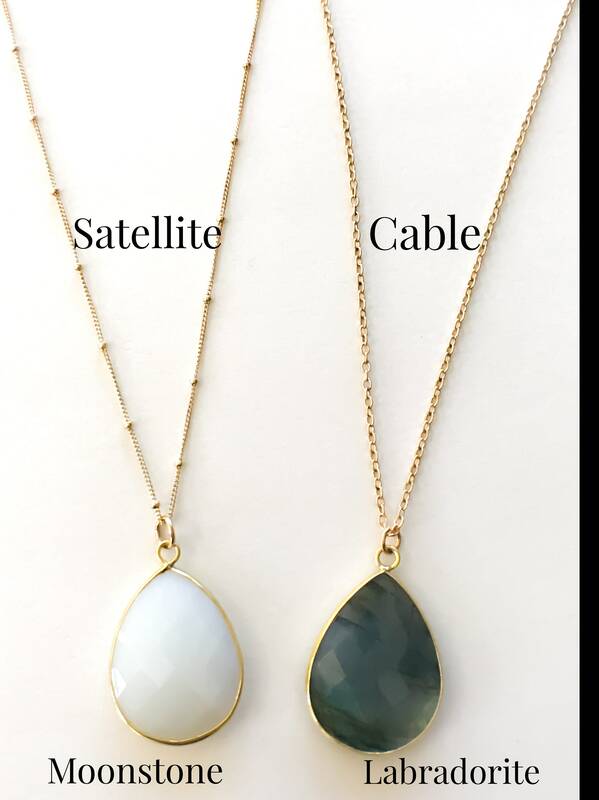 ► Featured main picture shows Moonstone gemstone with satellite chain. 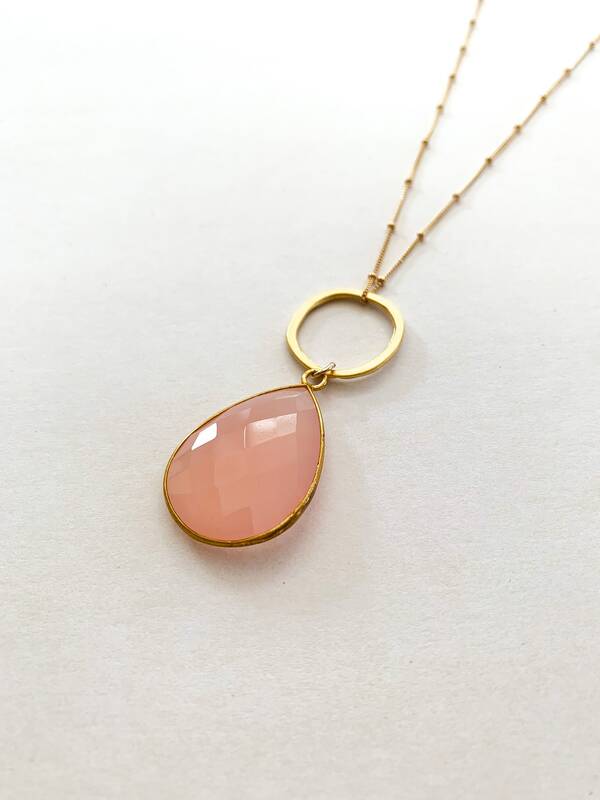 ►Add approximately 2” onto chain length which includes gemstone and ring. 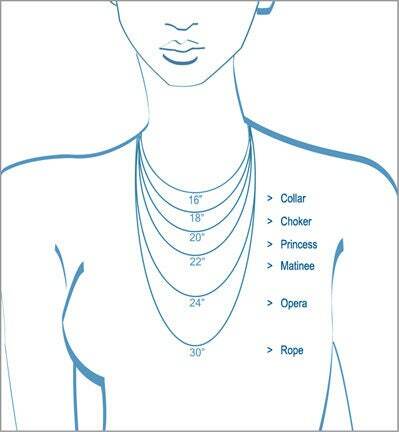 If you choose 30” chain, your total necklace length will be 32”. I absolutely love this pendant for I had been looking everywhere for a longer piece for layering. 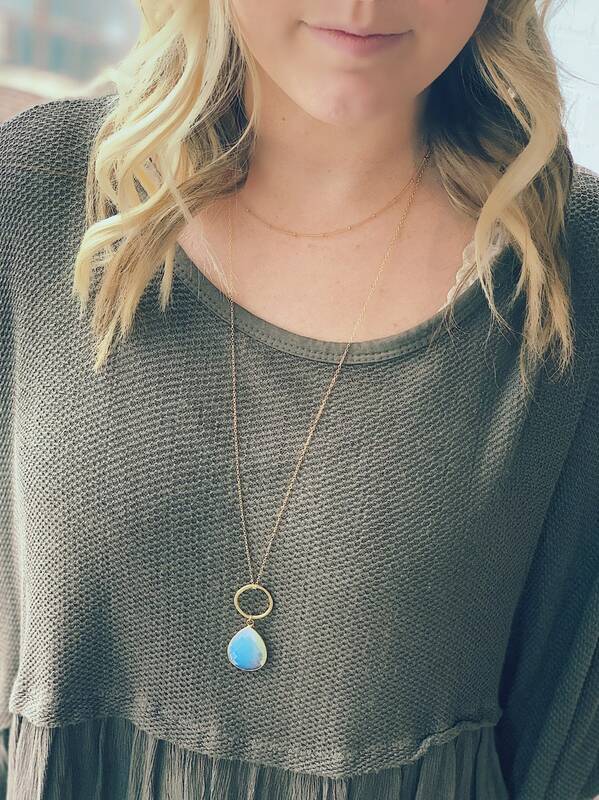 The stone in this necklace picks up the color of whatever I’m wearing and the satellite chain compliments it beautifully. So glad I checked Etsy and found this seller. 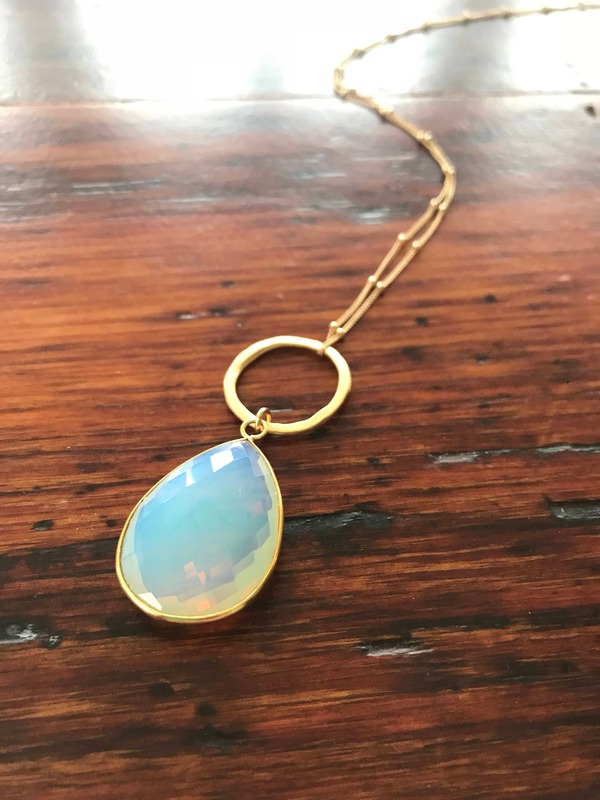 I received the necklace within a few days from ordering and the communication was excellent for I had a few questions. I’d definitely order again without hesitation. Thank you!